The sight features bright red tones of medium intensity. The Pinot Noir has plenty of floral aromas, combined with red fruits scents such us strawberry and blueberry. Delicate mineral aromas stand out together with some vanilla and cocoa notes, due to aging in oak barrels. 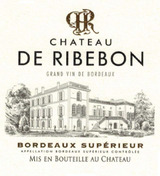 It is a medium-bodied red of soft tannins, fruity nuances and good volume. Naturally stabilized wine, bottled without filtering. Joven means young in Spanish and it's usually applied to wines that have not had any contact with oak or from the most recent vintage. Here the 2014 Alto Limay Joven Pinot Noir had partial contact with oak (40% of the wine), so it should be understood as simply young. This translucent, ruby-colored Pinot Noir smells of a berry infusion with a touch of spices, and no oak whatsoever. The palate is light, has very soft tannins and a silky texture with good acidity. Very drinkable if not terribly complex. 36,000 bottles.